Part sport, part adventure and all fun, the Henry the Sports Bug Camp at Paws Up seamlessly fits into our guest experience. 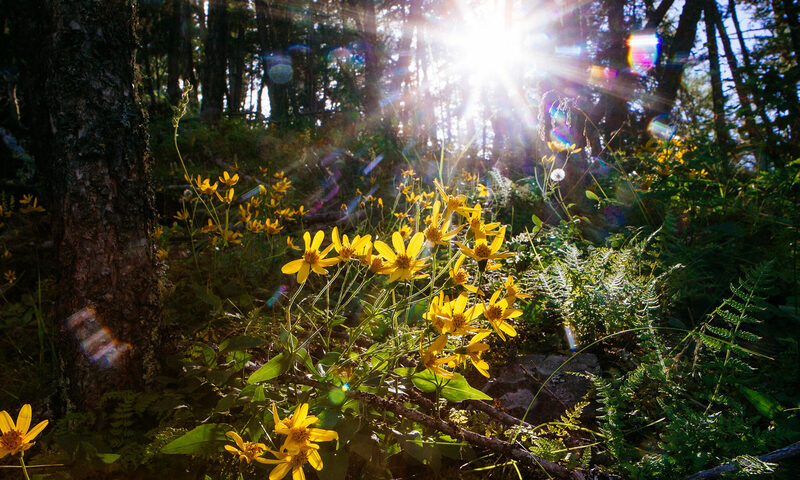 Along with the popular Kids Corps of Discovery, this new kids’ program includes lots of nurture with plenty of nature, compliments of Montana’s great outdoors. Henry, the hero of a series of books and videos created by former collegiate and professional tennis player Melissa Detwiler. Detwiler uses her background in sports, Henry the adult-size buggy mascot and local athletes to help kids develop a love of sports and good sportsmanship. 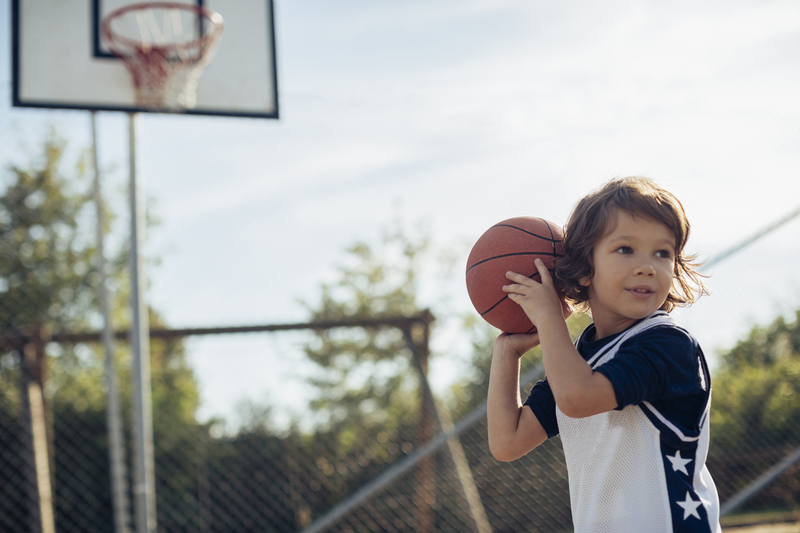 Henry the Sports Bug Camp teaches everything from soccer and tennis to golf and basketball, as well as how to build self-confidence and make healthy lifestyle choices. We sat down with Detwiler to find out more about her background, passions, amazing charity efforts and more. How did you come up with Henry the Sports Bug? Henry the Sports Bug is a creation stemming from my childhood being a tennis prodigy. I started playing at seven years old, and—quite quickly—tennis became my life. With all of that came a ton of pressure and not a lot of fun. I missed out on developing a love and passion for tennis. It became a part of me. It’s what I did and what I was known for. However, I didn’t have balance in my life. As I got older I realized how important balance is and loving what you do. I started teaching tennis when I moved to Los Angeles in 1992 and my main goal was for children to have fun playing the sport. I gained so many positive things from playing a sport growing up that I wanted to be able to pass that along to all kids. Henry the Sports Bug was my creative outlet to do that. No matter what sport you play, you get the same benefits of being healthy, being disciplined, developing confidence, showing good sportsmanship and learning how to win and how to lose. Sports give you the tools to become a leader in life and sets you up for success in the adult world. I am motivated to have Henry the Sports Bug reach kids everywhere, because I know how sports can change your life in a positive way. 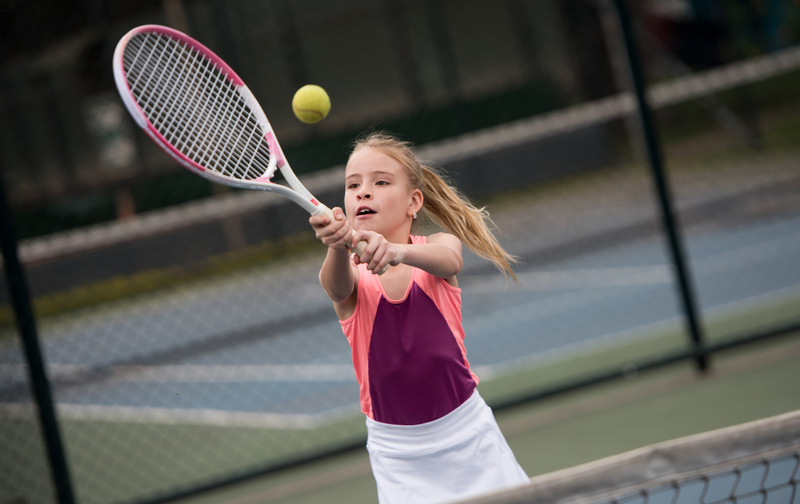 How did your tennis career inspire you to work with children? I did not want anything to do with tennis after my career ended. I was burnt out and had a lot of bitterness toward it. When I moved to Los Angeles, I needed a job, so I went to a local tennis club and they hired me on the spot. I started working with kids, and this inspired me. I absolutely love to see kids happy, laughing and having fun while getting better at tennis. Henry the Sports Bug inspires a positive change in kids’ lives. Henry the Sports Bug has healed me and is the best result of my tennis career. Tell us more about your charity efforts. From the very first thought of Henry the Sports Bug, I knew I wanted a nonprofit side to it. I want to be able to reach kids everywhere who have never held a ball or sports equipment. I want to be able to donate sports equipment, sport clothes, books, food and toys to kids around the world. Last year I formed the Henry the Sports Bug Foundation. So far, I have been fortunate to be able to donate tennis rackets and my books to schools in need. In 2013, before I formed the charity side, I went to 40 different elementary schools in 9 different states to put on assemblies where I read to the students, taught them tennis strokes, got them running through Henry’s obstacle course and donated my books. It was an amazing experience and further confirmed that kids, parents and teachers love Henry the Sports Bug and need him. I got so many letters from kids across the country asking me what sports Henry was going to play next and that he inspired them to try a sport. I can’t wait for the day I can travel everywhere donating to schools that have lost their PE programs, communities that have no sports, children that need sponsors to play in their chosen sports and countries where kids have never even seen a tennis ball or soccer ball. That’s when I’ll feel like I have accomplished something. How many books do you have and what are the differences in each of them? Currently I have eight books available on Amazon. The first five books set up Henry’s world. He is kind of like a Clark Kent/Superman-type figure. He has his Henry the Bug life, living in the bog dealing with all-too common kid problems, and then he has his superhero life as Henry the Sports Bug, going on missions to help kids in need in the sports world. The first two books incorporate tennis because it’s my background. Henry teaches a little girl tennis and gives her the confidence to make friends with the other kids who play tennis. She was shy and scared at first, but after Henry’s encouragement she could come out of her shell, make friends and play tennis. Books 3 and 4 set up how Henry becomes Henry the Sports Bug. Tito the Magic Turtle gives him a magic mirror to be able to see his next mission. Henry can jump through it to his mode of transportation, Cabo and Lily, the Flying Wonder Dogs! Book 5 is where he goes on his first mission to help a soccer team that is struggling with their confidence and morale. Book 6 is about miniature golf—the Masters of Miniature Golf. Henry the Sports Bug goes to help a boy who wants to play but is lacking focus and confidence. Book 7 is about a football team and community that loves football, but everyone is eating so unhealthy that they have no energy to play or cheer their team on. Henry brings in his nutritionist friend Mo the Morselist to help him change their eating habits and have balance. The eighth book is a little departure from the series. It is for the younger Henry fans who haven’t learned their ABCs yet. Henry hasn’t become Henry the Sports Bug yet; he is just Henry the Bug. He is having a hard time focusing on his schoolwork because all he thinks about is sports. Mrs. Centipede, his teacher, has the great idea of having Henry come up with a sport for every letter of the alphabet. It’s cute and makes learning fun. What’s your favorite thing about Paws Up so far? Paws Up is fantastic. I got to experience the Fourth of July festivities at The Resort. Besides the celebration in my hometown of Myrtle Beach, South Carolina, this beats anything I have ever experienced. I also love the scenery and the animals. My goal by the end of the summer is to get a cow to let me hug it! Louis the Sheep and I already have a special bond though! What’s been your favorite activity at Paws Up? So far I have only experienced the ATVs and sporting clays shooting. My goal is to be more proficient at both by the end of summer, and I hope to be able to experience many more of the fun and exciting activities offered here. 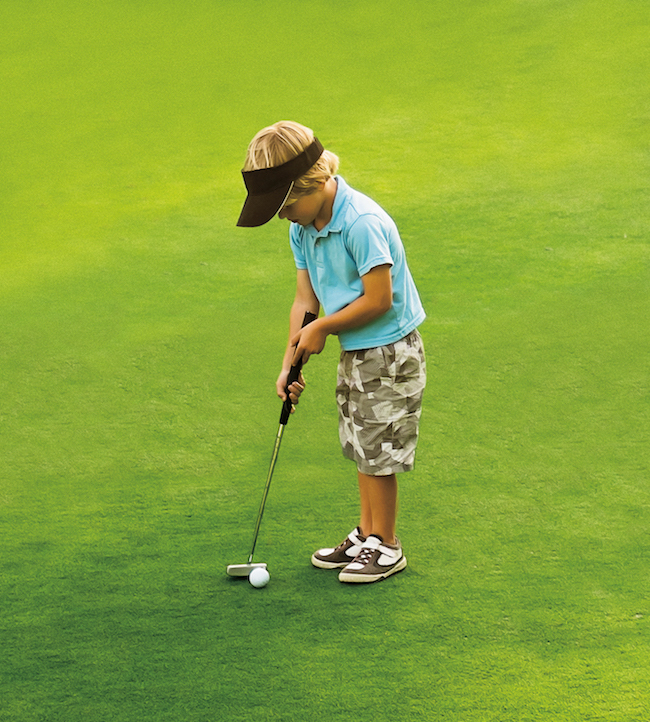 What is one thing you would like children to take away from attending your sports camp? With my camps, I want children to walk away with a big smile on their faces, telling their parents how much fun they had and how much they love playing sports. The life lessons from playing a sport will come naturally and they won’t feel like it’s a “lesson” because they are having fun! Have You Heard of Cow Croquet? If you’re coming to visit Paws Up this winter, we have a new winter challenge. Show your mastery of wrangling cattle by taking part in our new equestrian adventure, Cow Croquet. 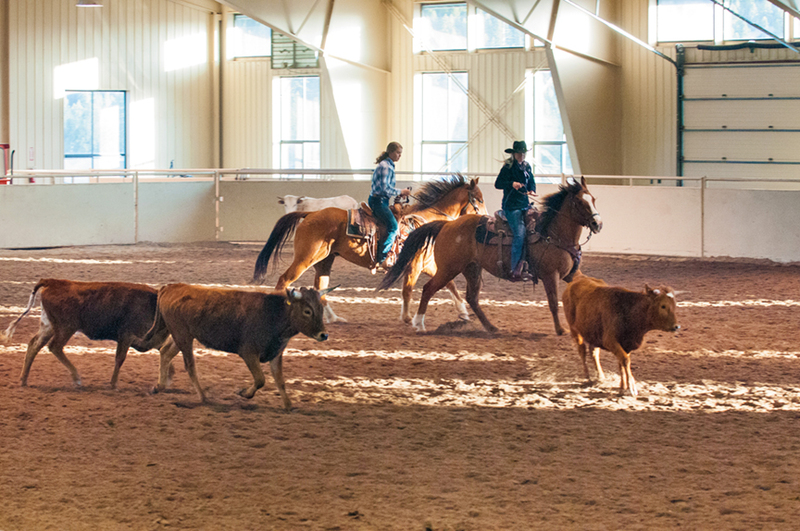 You and three of your cowboy/cowgirl friends will mount horses in the Saddle Club’s indoor arena and try to guide cows through one of five gates—just as if you were knocking croquet balls through metal hoops in the back yard. You will compete against another team of four players, and each team takes turns to try to “push” the cows through the selected gate. The leader/referee of the match yells out the selected gate (1–5) at the beginning of each round, and each team is timed on how long it takes to get the cows through the gate. The team with the best results and times wins! The idea to offer this new activity came from The Resort’s own Equestrian Manager Jackie Kecskes. We sat down with Kecskes to find out more about this creative idea and to get her thoughts on wintertime at Paws Up. I bought a border collie last October and was watching a lot of training videos online. I knew if he’s going to live on a ranch he should be handy. I kept coming across videos of sheepdog trials (where the border collie must herd sheep through a series of gates, independent of the human, who is a long distance away whistling directional commands). This got me thinking. We already offer team penning during wintertime, but we were still lacking the cattle drive element that people love so much in the summer—the act of moving a large group of cows as a unit. I set up some gates in the arena, substituted cows for sheep and people on horseback for a border collie, and that is how cow croquet was born. HOW LONG IS THIS ACTIVITY? It takes two hours from start to finish. WILL THIS ACTIVITY ONLY BE OFFERED IN THE WINTER MONTHS? Yes. It is a winter exclusive! WHAT’S YOUR FAVORITE THING ABOUT WINTERTIME AT PAWS UP? getting blanketed in fresh snow that makes it magical. WHAT OTHER EQUESTRIAN ACTIVITIES DO YOU OFFER IN THE WINTER? to picturesque sleigh rides through the homes. With all the beauty and adventure here at Paws Up, you may wonder what it’s like to work at the most gorgeous place in the United States. I’m lucky enough to have spent the summer interning here at The Resort. 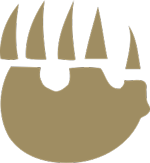 At the end of the summer, I’ll return to California State University in Chico, California, where I am a senior majoring in business administration. (Prior to enrolling in college, I spent six years in the military.) However, once I graduate, my fiancée and I plan to make Montana our permanent home. Paws Up and Montana truly are The Last Best Place. Here are my Top 10 favorite things about working as an intern at Paws Up. 1. Paws Up is located in a beautiful part of western Montana. Even after two months of driving to work every day, I will never tire of the magnificent views on Highway 200. 2. The Resort is located on vast land that lends itself to deer and jackrabbit sightings, while hoping for an elusive bald eagle to soar above. 3. 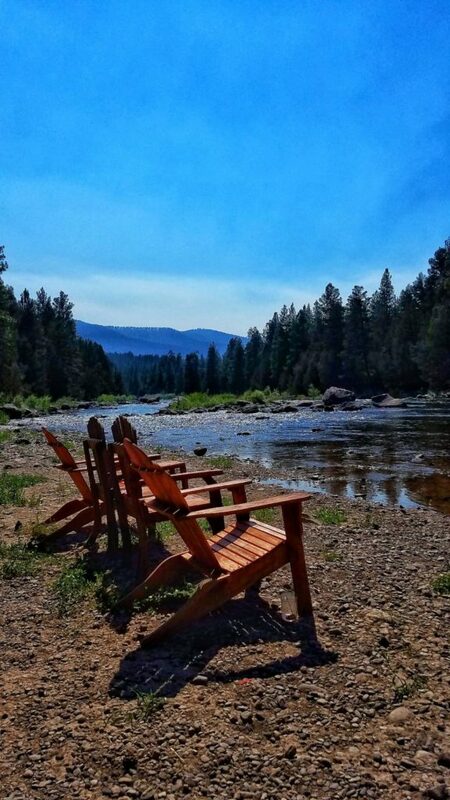 River Camp and Moonlight Camp are my two favorite glamping camps. 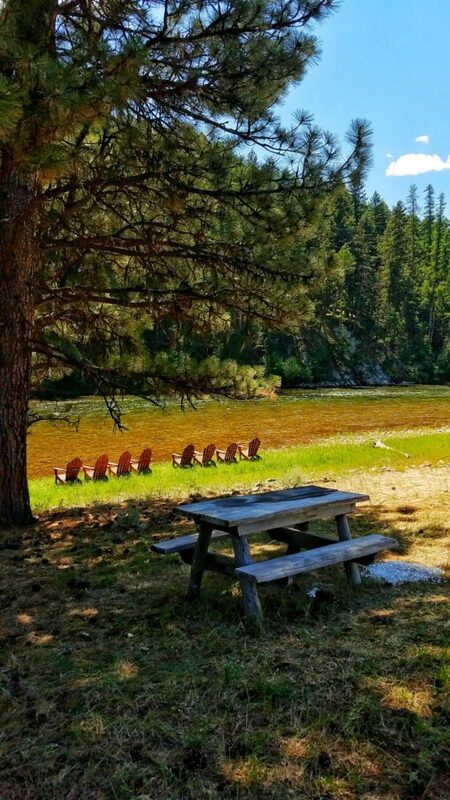 River Camp has a small private beach with an amazing view of the Blackfoot River, located just past the Dining Pavilion. Moonlight Camp, although secluded, has a phenomenal meadow view. Take a small hike down a dirt road, and you’ll find yourself at an access point to the Blackfoot River. The slow-moving water is perfect for a midday swim. 4. The opportunity to meet guests from all over the country and world is incredible. 5. Working in the Transportation Department (Bell Stand) opened my eyes to the inner workings of The Resort, as well as the hard work required to make the entire operation run smoothly. 6. Being a small part of guests’ experiences has been amazing, especially when I hear them talking about how much they enjoyed their time at Paws Up. 7. On my first day at Paws Up, I witnessed the birth of two beautiful baby deer, and I have been able to watch as they grow older each day. 8. A piece of the ranch’s history—and something I really love too—is located off Elk Creek Road, just beyond the pastures. The Morris Ranch House (built in the late 1800s) is beautiful on the outside as well as the inside. Located next to the front door is a picture of the Morris family when they lived in the house. 9. 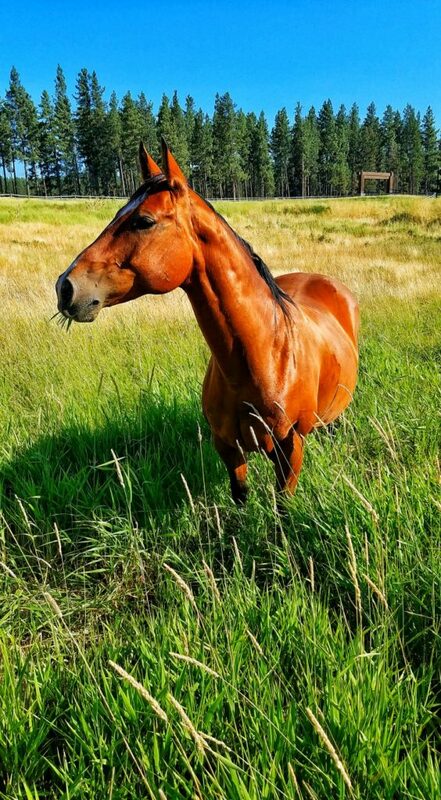 The pasture animals are a great addition to the Montana guest experience. I’ve seen so much unique wildlife here on a daily basis: cattle, horses, buffalo, Watusis and even a beefalo. 10. My time at Paws Up has given me a wonderful summer away from home, and working for The Resort reinforced my dream of living in Montana. I can’t wait to get back!